Property Location With a stay at The Mulberry Inn and Plaza at Fort Eustis in Newport News, you&apos;ll be convenient to Fort Eustis and Lee Hall Mansion. 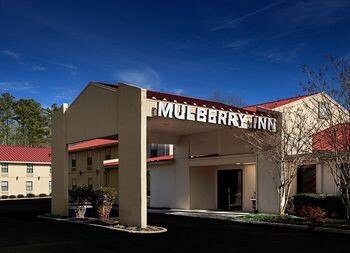 This inn is within close proximity of U.S. Army Transportation Museum and Newport News Park.Rooms Make yourself at home in one of the guestrooms featuring refrigerators and microwaves. Complimentary wireless Internet access keeps you connected, and cable programming is available for your entertainment. Conveniences include desks and coffee/tea makers, as well as phones with free local calls.Rec, Spa, Premium Amenities Take advantage of recreation opportunities including a fitness center and a seasonal outdoor pool. Additional amenities include complimentary wireless Internet access and an arcade/game room.Dining A complimentary continental breakfast is included.Business, Other Amenities Featured amenities include a business center and laundry facilities. This inn has 2 meeting rooms available for events. Free self parking is available onsite.